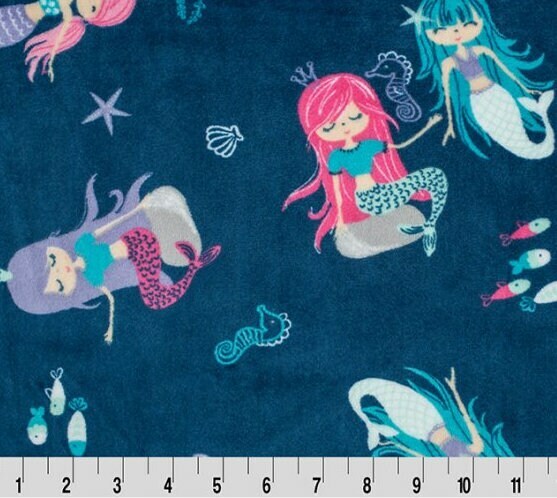 This listing is for Mermaid Splash! Cuddle Belize MINKY From Shannon Fabrics 3mm. This is the Highest Quality of Minky - never to be confused with the knock-offs sold at the big-box-stores. SHIPPING: We charge a flat fee for all the fabric you want shipped within the US. So cute! paired it with the galaxy saltwater blue. Thanks! Fast service! Great price and unbelievably quality! The fabric is perfection.